You have the opportunity to contribute to our growth--- and the growth of future generations of students---- through our Planned Giving Program. At St. Stephen, we have established a Planned Giving Program to assist our alumni and friends in discovering the many benefits charitable giving can provide. Through a relationship established with a highly respected, professional trust and estate planning expert, St. Stephen can help educate you about charitable trusts as a planned giving and investment strategy. Please contact the school office at 410-592-7617 for more information. Providing for St. Stephen School in your will is a foresighted way of making a charitable gift. When you make your bequest, your name is entered into the distinguished roll of the St. Stephen Society. For “Sample Bequest Language” or for more information, please contact the main office at 410-592-7617. For the 2017-2018 school year, St. Stephen was fortunate to receive a grant from The Marion I. and Henry J. Knott Foundation to launch a full-time Reading Specialist position. Come and see our newly renovated space in the school and meet Miss DeMarco who works with students in grades 1-7. 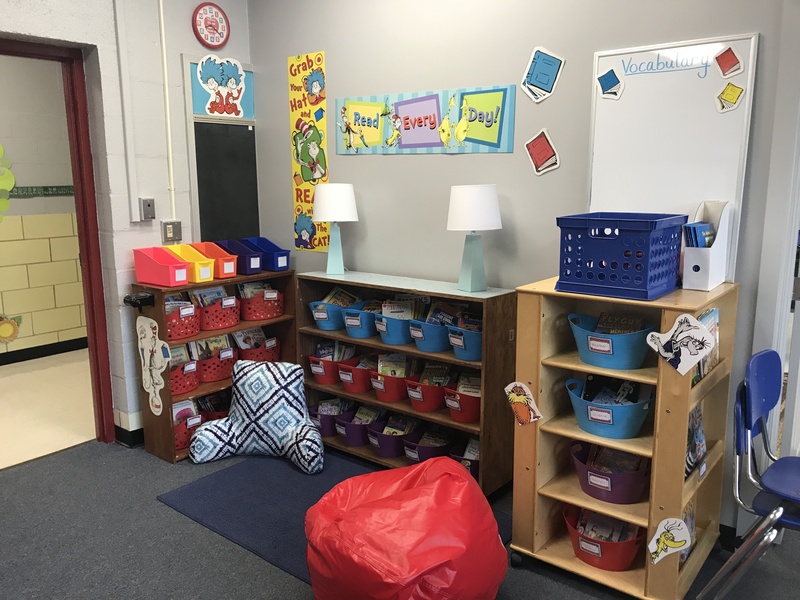 Through the purchase of the Leveled Literacy Intervention Program, students can receive a differentiated approach to instruction for their reading comprehension and vocabulary. Our school has been fortunate to receive a grant from BGE two years in a row! In both the 2014-2015 and 2015-2016 school years, St. Stephen students competed in the Captain Mercaptan contest and were awarded for their designs. These grants in the amounts of $10,000 and $5,000 were used to purchase additional Chromebooks for the upper school!